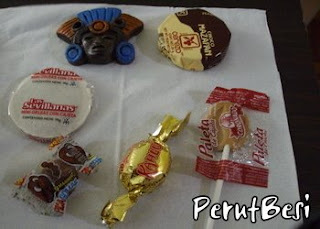 Clockwise L-R: Round sweet...caramel lollipop...another sweet...small round sweet...wafer sweet...Mexican red-indian pendant-like gift (still trying to figure out what it is :P) Okay, seems like for once, Ruth doesn't know what she's eating...haha...I can't read Spanish la! 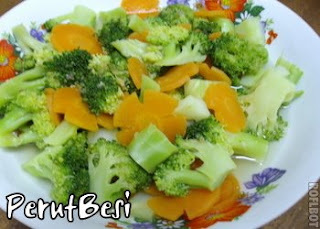 I just thought I'd put up the photos of dishes that I cooked just now. Lately, I just felt like cooking some simple stuff for dinner instead of going out all the way for a meal. 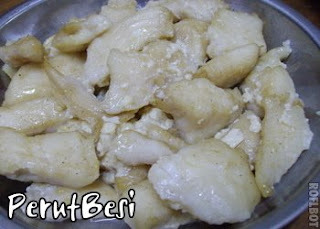 Petrol isn't cheap & sometimes, I feel that it's not worth taking the effort to go out just for mixed rice or noodles. It felt SO strange, but it was really fun! Hahaha...it's somewhat my 1st time lazing at someone's house, & I'm not exactly close to Mike! Shu, Leej, & I were there solely to wait for Auns to arrive & chill with us. In the mean time, Leej & Mike played computer games, while both Shu & I watched this superbly hilarious movie on HBO called "Bowfinger". I reckon I laughed so loud & so much that the neighbours, if they can hear, would think that I've gone bonkers! On the overall, this place sells durian-ish stuff & the usual rice & noodles like a normal cafe. The ambiance is quite alright, but I dare say that their service is unfortunately not excellent. *sigh* For the sake of novelty, it's a nice place to try out. But for the sake of having some good durian-ish food, this place won't get my vote. L->R (clockwise): Durian Ice cream, Pandan tart, Durian bomb, & Durian tart. The ice cream wasn't very special. It's just like any durian-flavoured ice cream, but somehow I feel that there are even better, though commercialised, durian ice creams out on the supermarket shelves! Frankly speaking, this is one of the worse ice kacangs that I've ever had. Looks can be SO deceiving! I felt that the "gula Melaka" (brown sugar) syrup that came with the ice shavings was just bad. It had some chilli-ish taste/smell! We felt that it may be cheap, diluted brown sugar mixed with some honey & dark sauce!! *faints* Totally not worth the money paid. We ate up the durian ice cream & left the entire bowl of ice 'untouched'. Complaining to the waitress was useless cos she just didn't offer to replace our bowl of ice kacang! 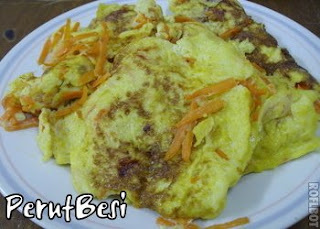 I've blogged on this dish before. It's actually a mixture of 3 different types of meat: prawns, squid, & fish...and somehow there's chicken too...it's a HUGE platter that could be shared by several ppl, but ML ate it all up by himself!! *faints* "U go, ML!" This is how the cake looks like when it's cut. The orange pieces are in between the cake & it's yummy!! This is like his closest guy friends in the office, I would reckon :) Nice. I've passed by this restaurant a couple of times, but it just didn't occur to me to drop by & try it out. Most of the time, I will end up eating at Ming Chu or Tar Chong, coffeeshops that offer a variety of food in the Taman Equine area. The overall taste of this rice dish is not too bad. I'm quite satisfied that there was enough gravy from the chicken dish to accompany the rice, & I'm satisfied with the amount of chicken pieces as well :) At least they don't give SO much dried chilli+onions & only 5 pieces of chicken, as I've experienced before! It's pretty much the same as the above, but the chicken comes with its bones. 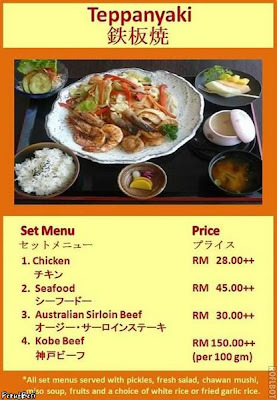 The one thing good about this is that the chicken parts are certainly nicer than breast meat (boneless)! Jusco Taman Equine will be on your right if you come either from Puchong or Seri Kembangan. At the round-about, take a 3 o'clock. Turn left at the first junction & go all the way straight. At the t-junction at the end of the road, take a left turn. The restaurant is on your right. Dinner tonight was really simple. All we had was a chicken dish, & a vegetable, which my housemates were very amused with when they saw it. 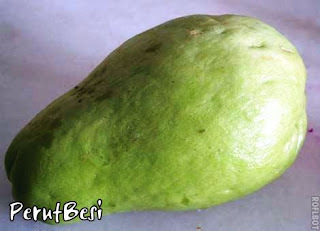 They even thought that the vegetable was a type of fruit-- some genetically modified guava! *lol* It was hilarious when WL came into my room to ask me what that was (after he cut it into half & discovered that it didn't have any seeds that resemble the guava's)! RW: Har?? Oh no...it's not a fruit, WL! (bursts out into laughter) It's a vegetable! "Baked Half Chicken with Butter & Mixed Italian Herbs"
Most of us were GTs (graduate trainees), but there were some FTEs (full-time employees) who have started to join us as well! *yay* We ended up going in 4 cars, & heading to Seri Kembangan, to a house turned coffeeshop, which offers, quite good tong sui (sweet dessert) & noodles like assam laksa, pan mee, yee mee, & the usual soup noodles :) Not too bad, I dare say. Here's the map to the place from Seri Kembangan itself. If you're coming from Cyberjaya, head towards the Jaya Jusco at Taman Equine, & follow the direcions stated in the map. It's quite easy to locate, just as long as you take the first turning on your right after the Public Bank in Seri Kembangan. 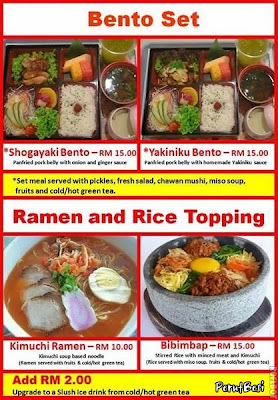 Anyways, I've just received the latest newsletter from Agefuku Japanese Restaurant, Taipan, Subang, & this time, they are introducing their new menu! 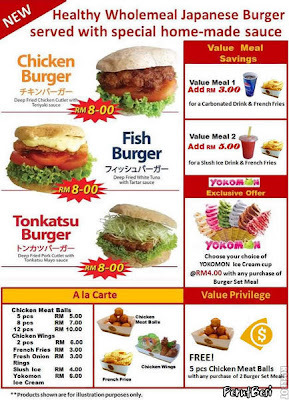 The latest editions sounds like some good deal (I'm especially interested in their Bento Set!!)! 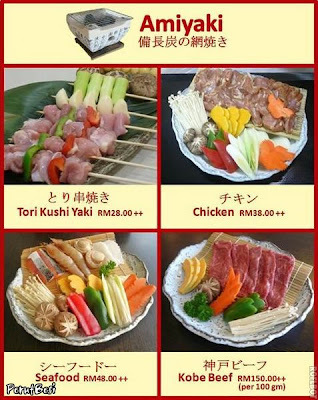 I have yet to try it out, so if any of our dear readers have tried it, do let us know what you think about the food at Agefuku! These cakes are available at the Ritz Carlton Hotel, Kuala Lumpur, & not only is the presentation good, apparently it taste good too :D The total costs was RM48.14 for 6 slices of cakes!! Hmm...I wonder why is there 14 cents... *Ruth wonders...* Strange...but anyhow, it's about the price of cakes from Secret Recipe, slightly smaller, but the variety is much more interesting (and so are the names)! Anyone for some Secret Recipe?